Serbia has had some rough times through the 1990s…. You have had years of war, high inflation, death, famine and a large % of the Serbs leave this beautiful land. There are still many patriots in this land and abroad that are very passionate about their history and military leaders. Many Serbians were sent to the Hague for military prosecution while many others were neglected. 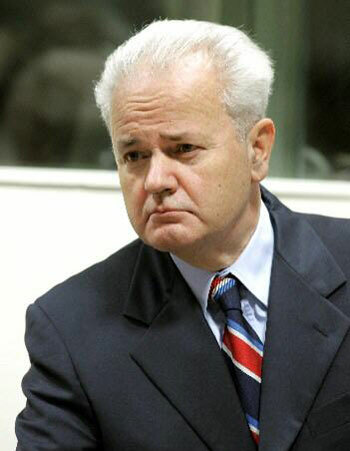 I have researched many bits of info on Slododan Milosevic, former leader of Serbia and General Ratko Mladic.I have many Serbs who do not support them and many serbs that do support them! There were many atrocities committed on the Serbian side, Croation side, Bosnian side, etc….. The sad part about Serbia is this is the ONLY part of their beautiful country and history that you hear about it!!!! One of our great American Union generals William Tecumseh Sherman said it well “WAR IS HELL“!!!!!! Serbs were ethnically cleansed from Bosnia, Croatia and Kosovo… Bad things happened on all sides!!!! Dont let this touchy sad part of history keep you from befriending or visiting Serbia!!!! It is best to discuss these issues with very close friends in a private place! I am a proud American but we were guilty of mass killings of American Indians…. We all have an “UNCLEAN” side….. Lets move on!!! Exactly Charles,On every serbian video on youtube you can see people judging us for “genocide” but every side did it,and do people forget Germany (WWII),USA (Heroshima and Nagasaki)?They just need to blame someone so they can feel better…..:( “Lets move on”!!!!!! If you really want to know why the west is demonizing the serbian people you should visit this page ( http://www.globalresearch.ca/index.php?context=newsHighlights&newsId=19 ) and if you are too lazy for reading you should watch “Kosovo can you imagine” , its by far the most touching video ever. odusevljena sam sadrzinom sajta i realnom procenom dogadjaja o mojoj domovini. Zahvalna sam Vam sto imate veliku zelju da kazete istinu o mojoj domovini,jer to ima tezinu. Dok smo pokusavali da objasnimo sta se dogadja na prostorima Srbije i sa srpskim narodom,proglasili su nas nacionalistima. Vas sajt je dokazao suprotno, da smo samo pokusali da odbranimo svoj integritet i sacuvamo svoje najmilije,nas kucni prag i porodicu. 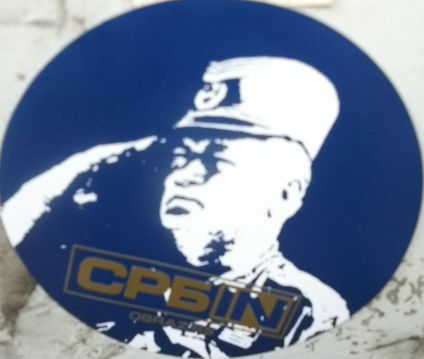 Zelim Vam puno srece u zivotu,lep i miran zivot. Moja najveca zelja je da na zemaljskoj kugli nikad vise ne bude rata,da sve nacije,verispovesti zive mirno i srecno u svojim domovinama. sneska… nema na cemu… hvala puno for reading it… you are very kind.. your message was touching… have a great day!! Good god Thank you for humanizing the Serbian people, I am from Crna Gora, But I consider my self a Serbian, and I consider all Montenegrin, to have a Serbian identity.